Wednesday, 1 May 2019, 9:00 a.m. – 8:00 p.m.
Wednesday 6 November 2019, 9:00 a.m. – 8:00 p.m. If you wish to cancel, you must inform us via email or telephone. Non-payment of the fee does not count as a cancellation. Fees that have already been paid cannot be refunded. The stall numbers are marked on the ground. Please stay within the ground markings and metres indicated in your confirmation documents. If you arrive with a stand that is larger than your allotted space, you will not be allowed to participate. 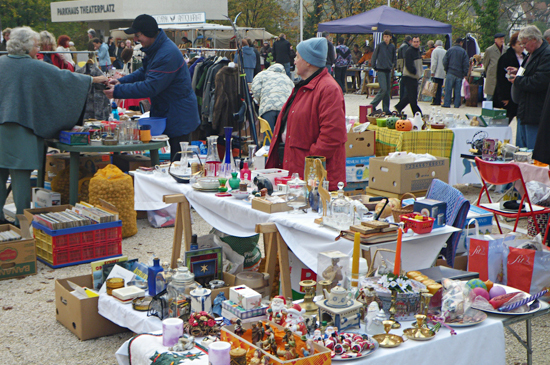 One hour before the start of the market, any unoccupied spaces will be made available to other sellers. After goods have been unloaded, cars must be immediately removed from the market area. If you have any problems, please ask the market attendant on duty. Cars cannot be parked behind the stalls. Parking is only permitted in the parking areas shown on the map. The free parking ticket provided with the market documentation must be visibly displayed in the car. The parking spaces in the city centre should be left available for market customers. Market stalls may not be dismantled before 8:00 p.m. The allotted spaces must be cleaned up after the market is finished. You must take any rubbish with you. Dogs are not permitted at the market. When allocating the market stalls, we strive to achieve a good mix of products. We primarily grant stalls to sellers who live exclusively from their market businesses. * Only two of these flea market dates may be reserved. 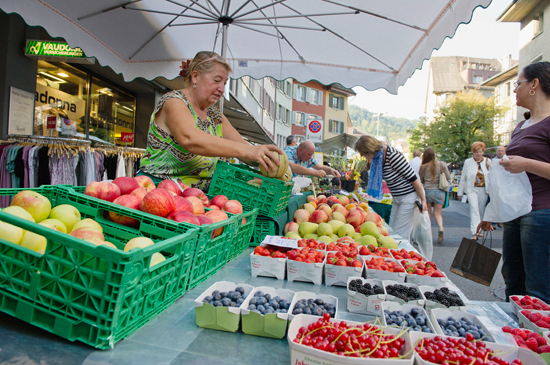 Market registration in-person (with official identity card) at Info Baden, Bahnhofplatz 1, CH-5401 Baden, cash payment (telephone registration is unfortunately not possible). Monday 12:00 p.m. – 6:30 p.m.
Tuesday - Friday 9:00 a.m. – 6:30 p.m.
Log in to the flea market portal and cancel your stall using the “Cancel” button. The market organisers are not obliged to refund any stall fees that have already been paid. market stall number, market date and address. Or call +41 56 200 80 90. 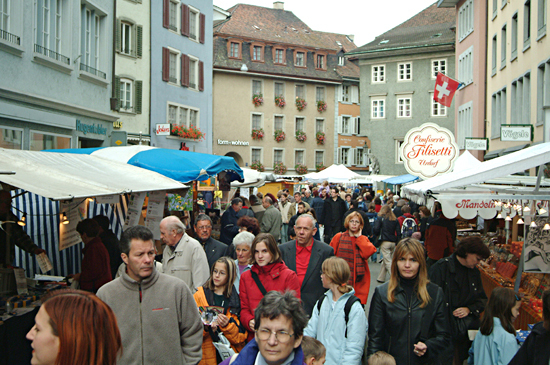 The market is set up between 6:30 a.m. – 8:00 a.m. You may not begin setting up before 6:00 a.m. As there is limited space at Theaterplatz, flea market participants are kindly asked to only use one car to unload their goods and to remove the car immediately afterwards. Market stalls must not be dismantled before 4:00 p.m. The allotted spaces must be cleaned up after the market is finished. You must take any rubbish with you. The price per running metre is CHF 12.00. Refunds for stall fees that have already been paid are not possible if you cancel your stall.The price per running metre is CHF 12.00. Refunds for stall fees that have already been paid are not possible if you cancel your stall. You need to bring your own tables. You may only sell used goods. Wednesday 11 December 2019, 11:00 a.m. – 8:00 p.m. Even stall numbers from 7:00 a.m. until 8:30 a.m.
Uneven stall numbers from 8:30 a.m. until 10:00 a.m.
We strive to have as much art and handcrafted goods at the market as possible. 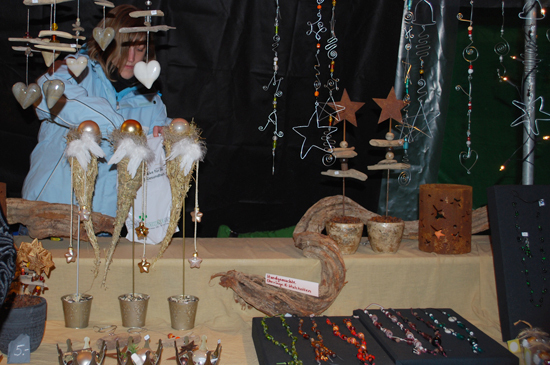 Please decorate your stall festively to help make the market a success. Carnival Saturday, 10:00 a.m. – 6:00 p.m.
Saturday 30 November 2019, 10.00 a.m. – 6.00 p.m.
Only for stalls run by workshops for people with a disability. Saturday 7 December 2019, 9:00 a.m. – 5:00 p.m.